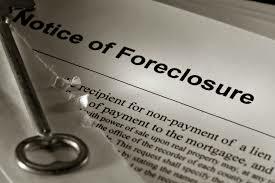 FORECLOSURES - The Law Offices of DeCastro-Hirsch, P.A. Foreclosure in Florida is a judicial process, which means the lender (bank) has to file a civil lawsuit against the borrower for failing to pay the mortgage on the property. The lender cannot remove a borrower from the property without a judgment approved by the court. In July 2013, a new law was passed to speed up the foreclosure process in Florida. This law can benefit both lenders and borrowers. For the lenders, it provides a faster foreclosure process. For the borrowers, it forces the lender to provide complete documentation to show how the lender is entitled to foreclose on the note and mortgage. It also shortens the statute of limitations for a lender to bring an action for deficiency judgment against the borrower from 5 years to 1 year. The statute of limitations is the period of time within which a party must bring a legal action, or be forever barred from doing so. A deficiency judgment is the amount due to the lender after the foreclosure sale takes place and the property sells for less than the amount on the foreclosure judgment. The sale is then “deficient” as it failed to bring sufficient funds to cover the total debt. The lender has the option to file a lawsuit against the borrower for the deficiency, or the amount still owed from the “deficient” sale of the property. Most borrowers are not aware of the many options they have in attempting to resolve a foreclosure. They can apply for a loan modification, a short sale or a deed-in-lieu. The Home Affordable Modification Program created by the Federal Government is one of the incentives lenders have to provide borrowers with a payment plan they can afford, allowing them to remain on the property and avoid foreclosure. A short sale is basically the sale of the property for an amount short of what would be sufficient to pay off all of the debts (liens) secured by the property. The unpaid balance is the deficiency amount. The lender must agree to accept the short sale, but it does not release the borrower from the obligation as to the deficiency, unless agreed to by the lender. A deed-in-lieu is a deed (document) through which the borrower gives the property back to the lender in satisfaction of the debt, which could include a waiver of any deficiency obligations on the part of the borrower. Attorney Marjorie Brunelli has years of experience in working with some of the largest lending institutions in the U.S. She will be able to assist you in either seeking a foreclosure judgment or defending against one. Contact her to schedule a consultation. By using this web site, you acknowledge you have read this disclaimer and you accept to be bound by the terms hereof. The materials on this web site are for informational purposes only and do not constitute legal advice. This information does not create an attorney-client relationship. All matters arising from the use of this web site will only be construed and enforced according to the laws of the State of Florida. Do not rely on the information contained in this web site without seeking the advice of an attorney. Any information you send us prior to receiving a written acknowledgement confirming your representation by Brunelli Law, P.A. will not be treated as confidential and will not create an attorney-client relationship.